Modern technologies offer us new building materials, successfully replacing those "natural" products that did not always satisfy us with their parameters - cost or physical indicators (weight, structure), additional difficulties in processing, etc. 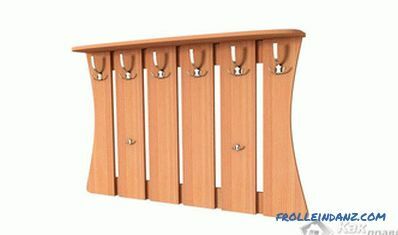 To such materials can be attributed to the usual glass, which is now successfully replaced by organic glass. 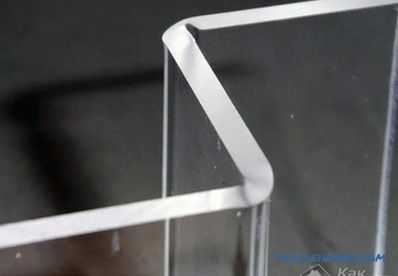 This solid synthetic material retains the transparency of ordinary silicate glass, but has gained many new advantages, which makes it possible to use it in the automotive industry, for the manufacture of glass doors, aquariums, greenhouse structures, roofs, many decorative parts such as designer panels, advertising stands, for molding computer cases. Plexiglass evenly distributes the light, so it is used for the manufacture of various bright light-dynamic installations with flashing lights and running lights that look particularly attractive in the dark. The material does not have such increased brittleness as ordinary glass (and therefore not so dangerous), it is not so heavy in weight, it is easy to deform and cut. As a thermoplastic under the influence of high temperatures become plastic. In this "secret" lies the clue how to bend it. By adhering to some rules, you can easily transform the shape of this material. 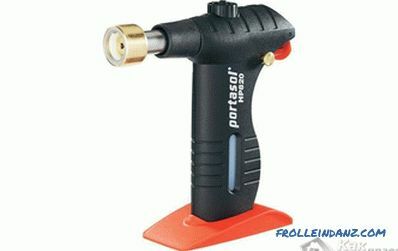 To do this, you need special tools: a workbench, a metal pipe, nichrome wire, a blowtorch and a power source with its adjustment. ductility when creating times noobrazny forms. The disadvantages include its main feature - ease of deformation with sharp objects, which requires an accurate attitude to the products. Sheets of organic glass are sold with a film applied on them, which partially protects its workpieces from damage. However, the film cannot protect the sheet from scratches or even cracks when cutting it with a metal hacksaw or jigsaw. 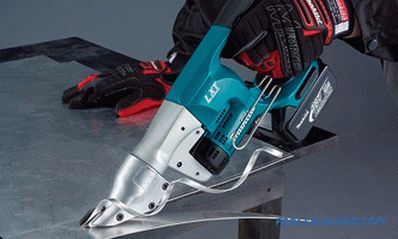 In addition, these tools create a large number of sawdust. There are more functional ways of cutting and processing sheets of this material. Plexiglas requires accuracy and timeliness of exposure to it at the time of softening under the influence of heat. This polymer of synthetic origin allows you to do with it a lot of mechanical operations to create both flat and bulk objects. Bending is not the most difficult task, but it does require some experience and some rules that we will pay special attention to. Before processing, the sheet of material must be subjected to mandatory drying, otherwise moisture bubbles will form at the place of its bending, which not only spoil its appearance, disturbing transparency, but also change its structure. Drying is carried out at a temperature of 80 ° C at the rate of time - 1.5 hours per 1 mm of the thickness of the workpiece. We will fix the dried leaf on the workbench. The nichrome wire is fixed at a distance of 0.5 cm from the workpiece, exactly along the line along which the workpiece should be bent. 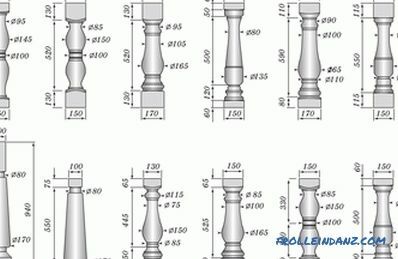 It is not necessary to draw a line with a marker on the sheet, since it will be very difficult to remove traces after heating the workpiece. Set the stop to which the sheet should be deformed. The nichrome wire for its heating is connected to an adjustable power source with the required heating temperature. Usually, the material begins to deform at a heat of 150-190 ˚C. After a sufficient time, the sheet under the weight of its own weight will begin to cave in until the stop you set. 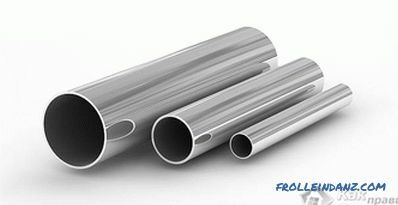 To bend the billet to a certain degree, either a metal pipe of the desired diameter is used, or a billet made of Plexiglas itself, or machined from wood. Set the sheet on top of the pipe, and then heat the sheet with a blowtorch in the line of contact with the pipe until the material begins to yield and takes the form of a pipe. Cooling of the product is carried out smoothly, evenly and continuously to a temperature of 60-70 ° C.
Secure the sheet in a vice on a flat table. Lightly scratch the fold line. Heat the sheet according to the drawn line using a building hair dryer (or a soldering station hair dryer) at a temperature of 150-180˚С and begin to bend the sheet without taking the hair dryer away from the place of heating. To warm the sheet should be gradually, not bringing to its melting. If the sheet is thicker than 5-6 mm, it is better to warm up on both sides of the sheet, either simultaneously or alternately. The latter is heated by the side of the sheet, which will be on the convex side of the bend. 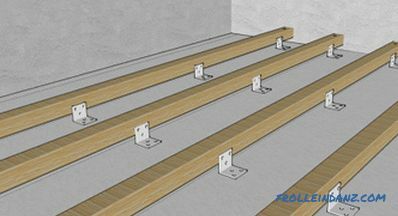 Cold areas of the sheet should be covered with something, leaving only a narrow strip along the warm-up line. The width of the heated strip should be three times the thickness of the sheet. The sheet should be bent away from the heat source, that is, the heat jet should be directed towards the convex part of the bend. 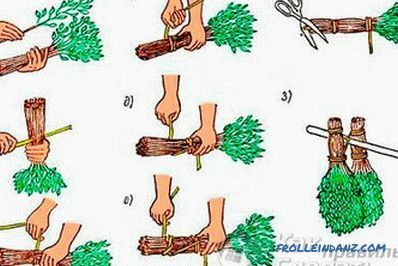 You can bend also after heating it in boiling water, in a stove, with a gas burner, or even by fire of candles arranged in a row. The heated thin sheet is easily bent by the hands (with gloves! ), It is also possible to squeeze out any indentations in it. With the help of heat treatment, organic glass can be cut, for example, using a heated coil. It is especially convenient to use a spiral for cutting small products. A spiral from a heating device, from a soldering iron, from an old variable resistor is suitable for cutting plexiglas. The approximate parameters of the spiral - length 7 cm, diameter 0.3 mm, power 12 volts, energy consumption 1.5 amperes. At the same time, the spiral is heated red-hot, which is not at all necessary, since the material will melt and emit smoke with a pungent odor. The spiral is soldered to the metal pins, and the pins - to the cable connected to the power supply with adjustable voltage. 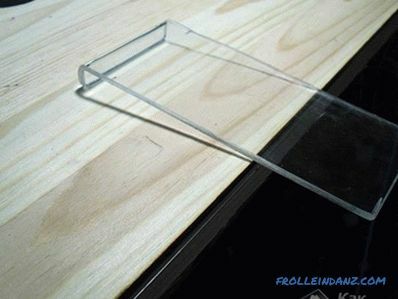 Plexiglas can not only bend and cut, but also glue. For this, it is not necessary to apply cyanoacrylate glue with all its advantages “to seize tightly”, since in places of bonding the material loses its transparency (whitens), and the glue spreads easily and quickly in different directions. It must be said that gluing parts is not a simple matter, as compared with tacky ordinary silicate glass using silicone glue or hot melt glue gun. 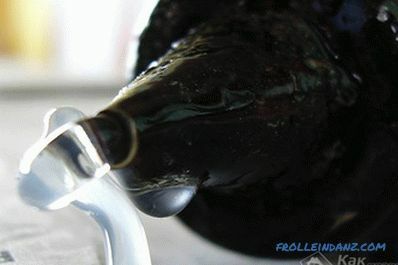 And yet it should be glued with dichloroethane - a poisonous transparent liquid that dissolves almost any plastic. Dichloroethane is applied on the cleaned surface of the joints and immediately put together for setting. Then a mixture of chips and dichloroethane is prepared with the consistency of kissel, this mixture fills the seam at the junction. Before this procedure is to practice, and the work carried out with the obligatory protection from the toxic fumes of dichloroethane, followed by treatment of hands in warm water and soap. Plexiglass is amenable to bending and cooling. However, the bending radius is 230 times greater than the thickness of the sheet being bent. To learn how to bend a material without damaging it, it is worth remembering that in any work a preliminary good training will never hurt.